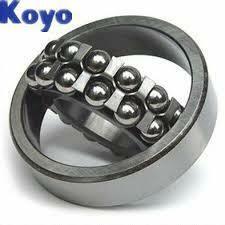 We are one of the biggest dealers of Industrial ball bearings in Delhi, NCR from last 10 years. We are having all the imported brands like SKF, FAG, KOYO, Timken, NTN, INA, ZKL, NSK, URB, ZWZ etc. We are one of the leading suppliers, importer. dealer and exporter of various kind of industrial ball bearing and other products like V-Belts , pulleys, oil seals. Packaging Details: good quality cartoons packing. Jai Krishna Bearing House are leading authorized dealer , supplier, wholesaler, importer and exporter of a wide range of KOYO Industrial Ball Bearings in Delhi and NCR.